The 3rd National Conference of the Kachin Alliance was held in Fort Worth, Texas on Sept 1-2. 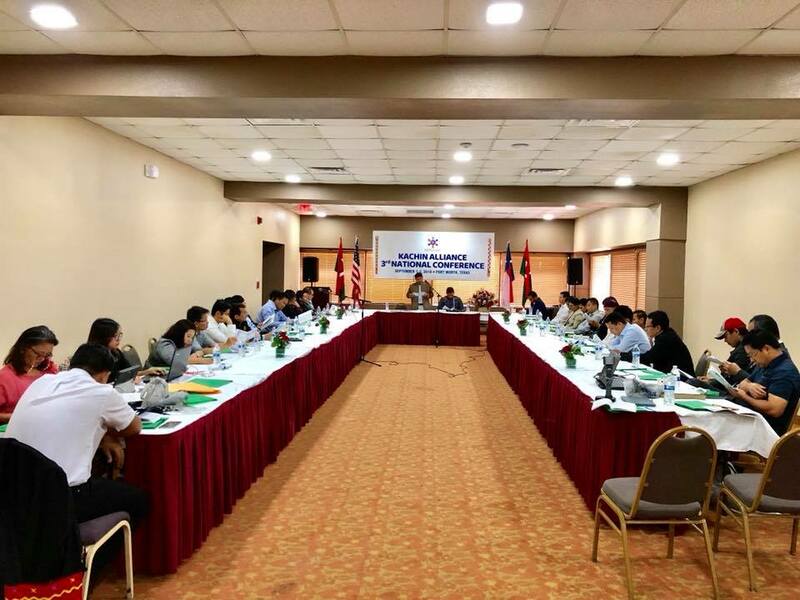 Kachin Alliance’s executive committee members, advisory board members, and Kachin community representatives from Florida, California, North Carolina, Nebraska, Indiana, Georgia, Michigan, Texas, and Louisiana attended the two-day conference. The 2nd National Conference of the Kachin Alliance was held in Houston, Texas on Sept 3-4. Kachin representatives from Florida, Oregon, California, Washington, Indiana, Georgia, Michigan, Utah, West Virginia, Louisiana, leaders of community-based and faith-based organizations attended the two-day conference. Kachin Alliance’s president Nsang Gum San together with Rev. Dr. Hkalam Samson of Kachin Baptist Convention, Father Dr. Joseph Gawlu Yung Wa from the Myitkyina Catholic Diocese and Mr. 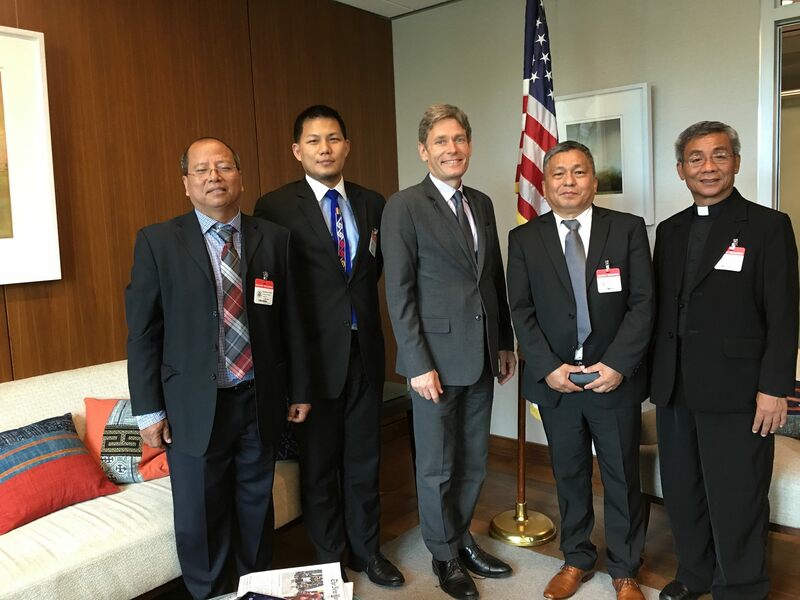 Lung Jung Tu Raw visited Tom Malinowski, Assistant Secretary of State for Democracy, Human Rights and Labor on June 22, 2016. Rev. Dr. Hkalam Samson of Kachin Baptist Convention, Father Dr. Joseph Gawlu Yung Wa from the Myitkyina Catholic Diocese, Mr. 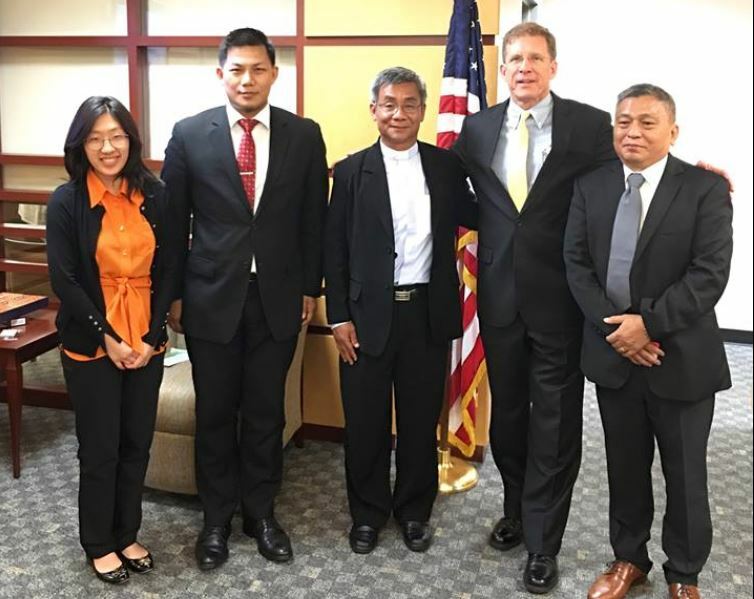 Lung Jung Tu Raw and Nsang Gum San of the Kachin alliance met with Patrick Murphy, Deputy Assistant Secretary for Southeast Asia, on June 21, 2016.